Digital SLR cameras with interchangeable lenses are still the standard choice for professional photographers. However, consistent advancements in phone cameras are giving even the most casual photographers the opportunity to snap beautiful images with ease. As with all smartphones, each have their own strengths and weaknesses. Plus one's phone choice is largely dependent the user's specific needs. Whilst some might not care at all about camera capabilities, a sharp rise in camera technology and sales shows most mobile users want it all—a handy little computer, a good quality camera and oh yeah, a phone! If you're one of the many looking for first-rate phone images, considering the following factors before buying. 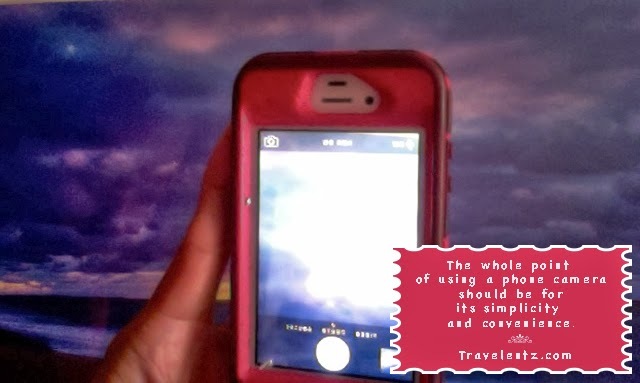 Ease of use: The whole point of using a phone camera should be for its simplicity and convenience. True it's great to have extra bells and whistles for those art pics your heart desires but first and foremost your mobile camera should be a breeze to capture snapshots. That means easy to reach buttons, simple uploading features, and a clear indication your camera is on so as not to snap any potentially embarrassing photos that could end a political career. Note too that some features may be a little too easy to use so have a care when drinking and sending images because one false move could have that “private” message being broadcast around the world. Megapixels: This shouldn't be an issue no matter which mobile you choose because most offer 5.0M resolution or higher. Remember the number of megapixels determines how far you can go in enlarging images and maintaining quality—however, the higher the MP also means a slower transfer of images. Light gathering: This will most likely be a “live and learn” thing but like manual lenses not all digital phone cameras offer the same capabilities in low light situations. Cameras that aren't so hot at gathering all available light will frustrate photographers who want to capture the subtle nuances of a scene. In addition, the camera will be forced to push itself (think shutter speed in film cameras) to try and connect the dots with images it has trouble really seeing. The result will be grainy (and often blurry or “soft”) images. Creative control: The ability to adjust white balance, speed and picture format is common for most phone cameras these days but it doesn't mean they all provide the same quality. With white balance in particular be sure the images look the way you see them before buying. If snazzy filters are also included then all the better. Some cameras tackle colour better than others, too, so be sure to research user reviews before committing. The Best Rated Phone Cameras:Most tech reviews are giving a wide variety of Nokia phones top billing for having the best cameras. One of the best-rated, the 808 PureView, offers 12 and 17.5MB images. The Lumia 1020 has a whopping 41MP sensor and—though it's a bit bulky—this mobile camera offers crisp photos that can be enlarged substantially. Please note that a variety of reviewers feel the Lumia may be a little less intuitive for casual photographers. The HTC One and the Samsung Galaxy S4 tend to run neck-and-neck in reviews, with the HTC falling a bit behind because users can't add an SD card for more memory. The Galaxy S4 has a 13mp camera that's being praised for being intuitive to use. Samsung's snazzy Best Face feature is also a nice addition that guarantees all subjects are smiling in photos. Remember that each mobile will have pros and cons and it's a good idea to actually get your hands on a variety of makes and models even if you end up purchasing online. Clearly acknowledge your phone needs before shopping so as not to get caught up in marketing ploys selling you something you don't actually want or need. And once that's all sussed out, don't forget to consider something that just feels good. No phone will have it all but in order to get the most out of your purchase get one that covers the majority of your needs and is a pleasure to use. And if it makes your tech-geek heart beat a little faster then all the better.